Organic website design is a style of design that uses natural textures such as wood and paper, as well as scenic or floral imagery. There are many, many sites that could be considered organic in their design, and in this collection we have selected 30 of the best we could find that are beautifully presented and use organic elements to their very best effect. 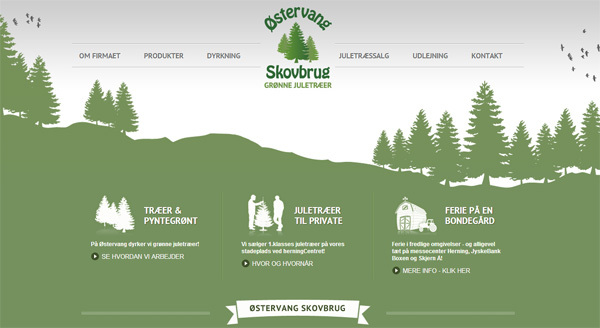 This is a Danish environmental site belonging to a company that grow and sell Christmas trees. It is very organic in its design through the environmental angle. 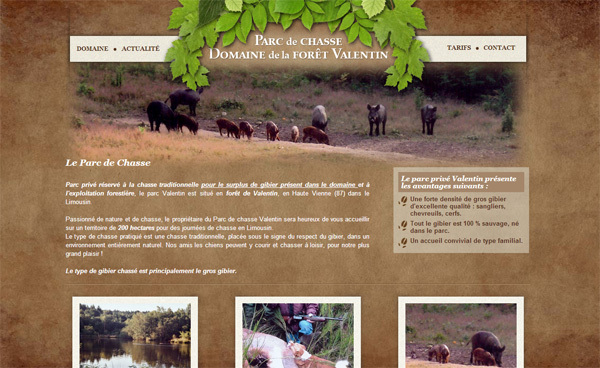 This site is owned by a French hunting park. 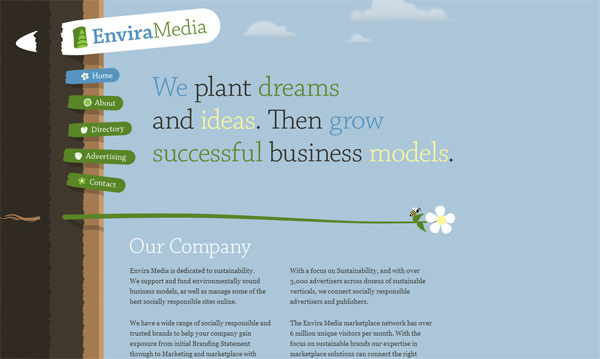 We may not entirely agree with what the company offers, but the site is presented in an organic style! From this site you could adopt a GroBot, which sadly are now all sold. Each GroBot contains its own living plant, and the money raised was given to charity. 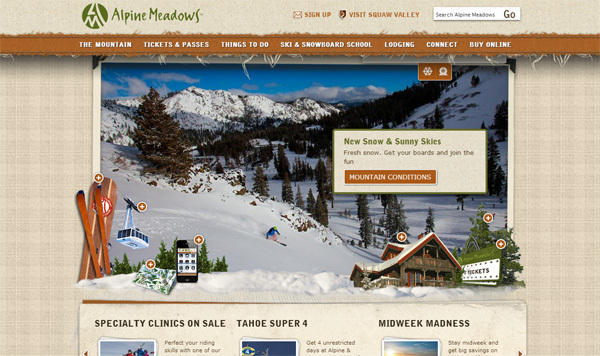 A beautifully designed organic site. 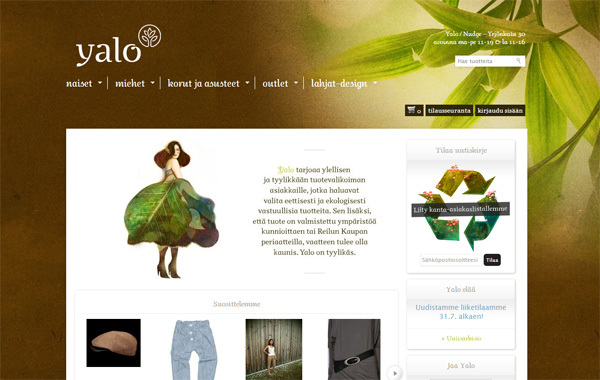 Yalo sell environmentally friendly clothes, accessories and jewelry, and their organic site reflects this. 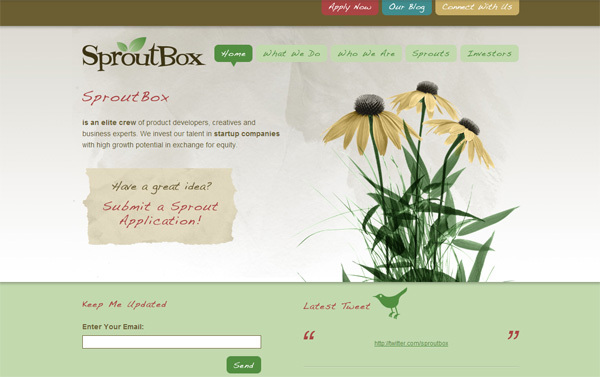 SproutBox is a venture capital company who have a beautifully designed organic website. 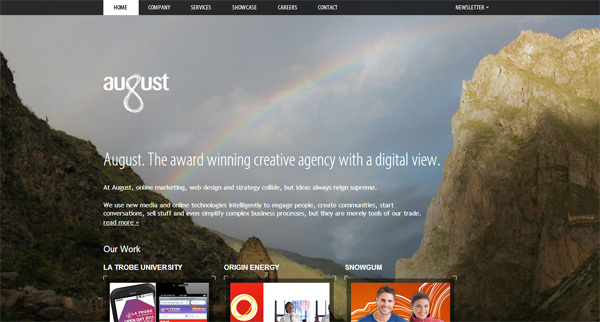 August are a creative agency who use fullscreen background images of nature for their organic website design. 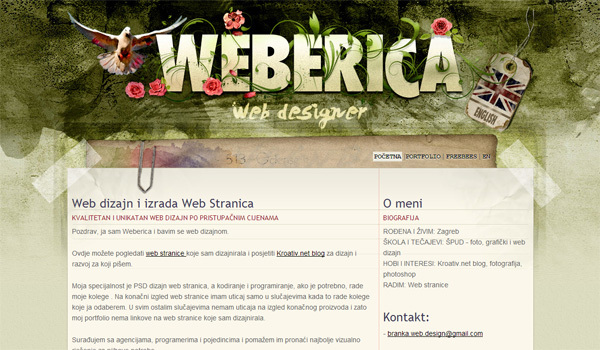 A Croatian web designer who uses a lot of organic imagery for his website design. There are many organic elements in this design, including flowers, paper, sky and clouds, etc. 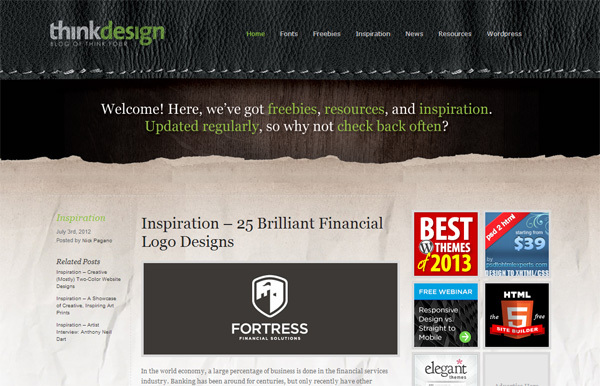 This blog design uses layers of leather, wood and paper to create a beautifully organic site. 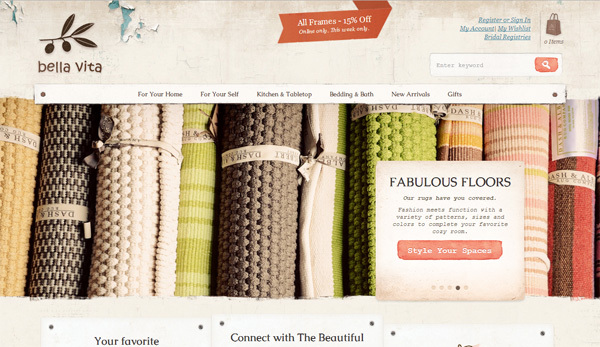 An online shop with a superb organic design, including elements such as peeling paint, paper, fabric, etc. 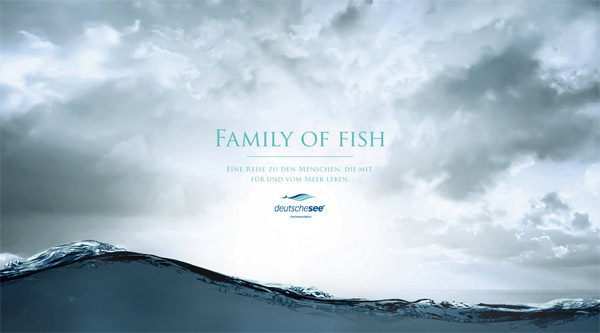 This German site is all about deep sea fishing, and it is a very effective vertical scrolling site that takes you under the sea. 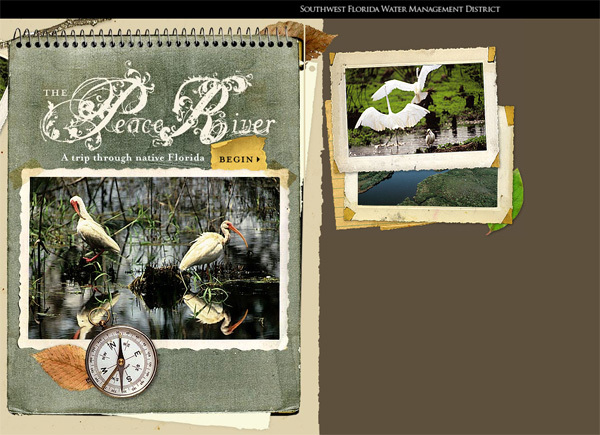 This site dedicated to The Peace River uses leaves and paper for its organic design. 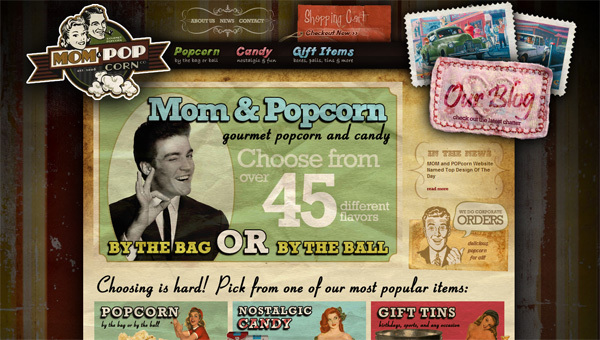 This site uses torn card textures and some other organic textures are included throughout the site. 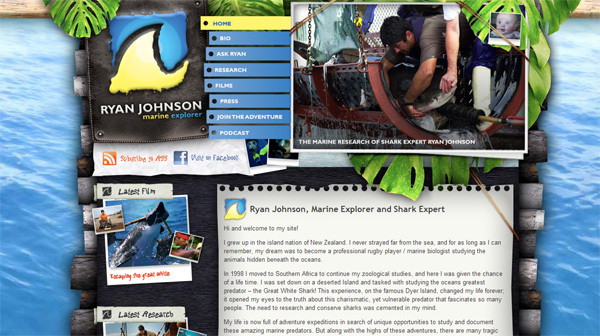 Ryan Johnson is a marine explorer, and his site design is comprised totally of organic textures, including water, wood, paper and plants. 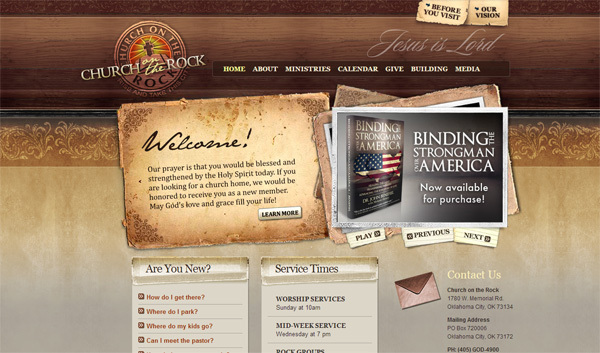 This site uses a fabric background texture and a beautiful frayed effect on the top navigation bar. A totally organic design incorporating wood and paper textures. 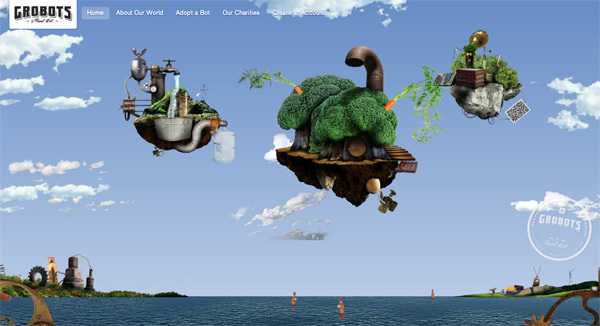 Little touches of organic elements are evident everywhere on this effective website design. 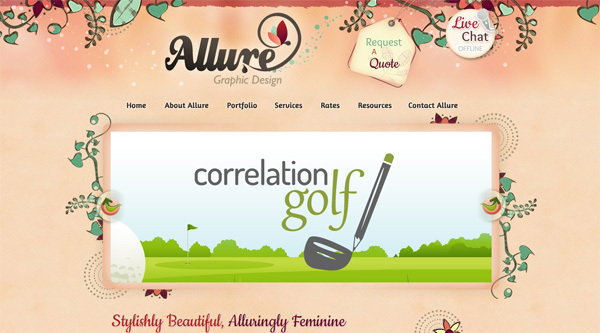 Lots of florals in this organic design, promoting the allure of a touch of femininity in graphic design. 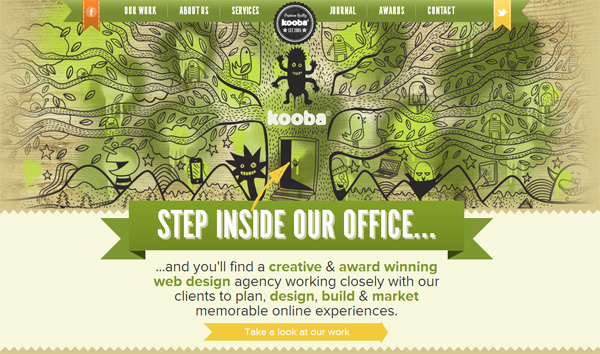 This web design agency has used lots of organic imagery in the home page sketch, and the design includes other current trends such as ribbons and zigzag lines. A stunning example of organic design. The image appears to be on canvas, and includes sky, clouds, stars, mountains, hills and leaves, and if that wasn’t organic enough, the navigation bar on the left is on a wood texture background! 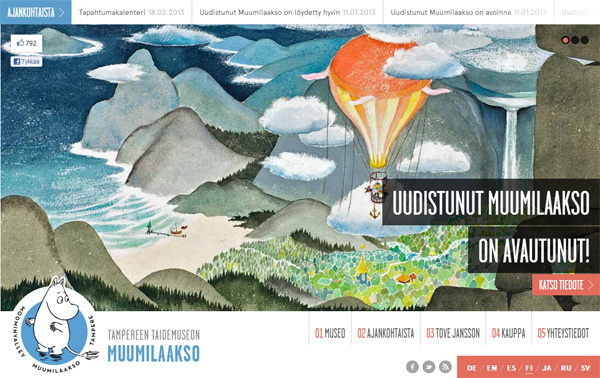 A nicely presented site with hand-drawn nature images. 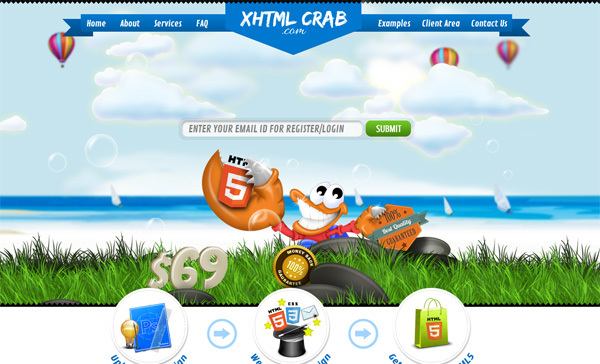 With such a title, there was bound to be a crab included in this design! 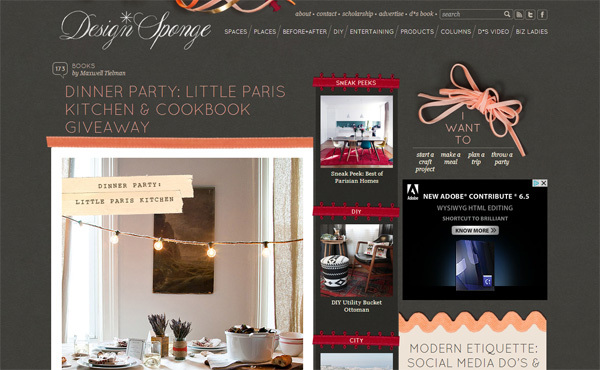 This is another site that includes other current trends such as ribbons and zigzag lines. 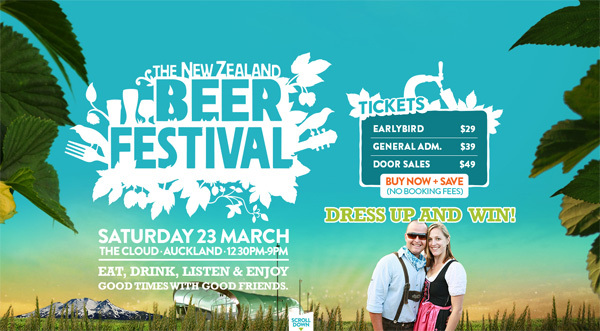 Blue sky, green leaves, mountains and all to promote….. beer!!! 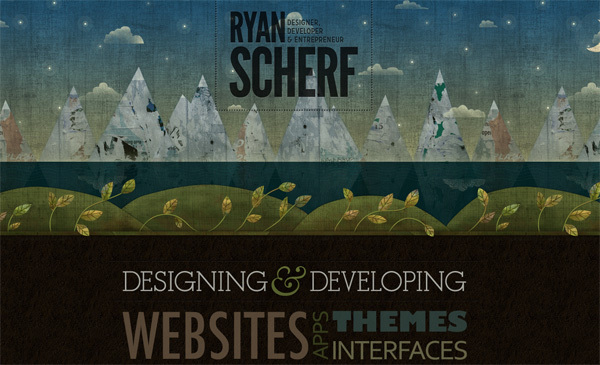 A site that uses both a wood texture background and paper and tape textures for content and navigation. 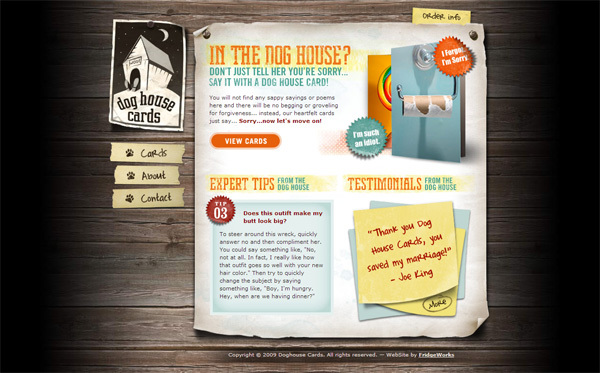 This site uses lots of organic elements, including wood texture background, paper and fabric textures for content boxes. 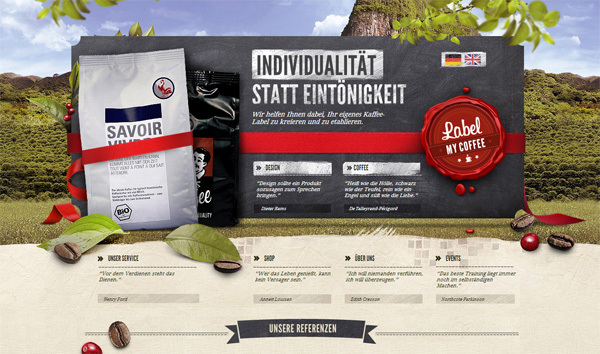 With a fullscreen scenic background image, coffee beans and a few leaves, this site mixes organic with some other current trends such as ribbons. Organic website design is a relatively subjective style of design, as even small elements such as rounded corners can possibly make a site organic according to some, but not according to others. I have tried to include in this round-up sites that are obviously organic and that use organic and environmentally-friendly textures. Hopefully you have been inspired by these choices.